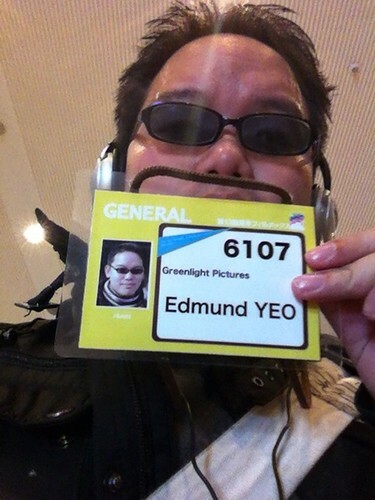 I have been attending some screenings at the Tokyo Filmex since it started last week on Nov 24th. 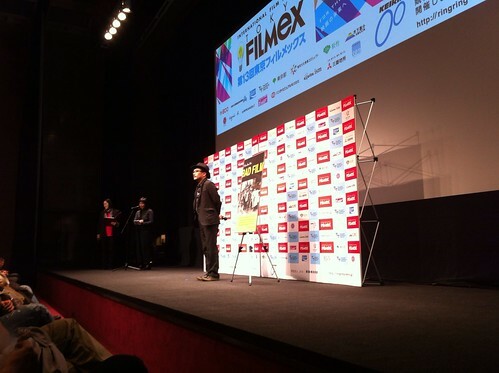 The Tokyo Filmex is one of the two major film festivals in Tokyo (the other being the Tokyo International Film Festival held a month earlier). Ever since I moved to Tokyo, I had attended screenings at the 2008 and 2009 editions of the festival, but was unable to do so in the last 2 years because I was either at the Torino Film Festival 2010 or the Golden Horse 2011. So it's good to finally be back, indulge myself in some films. The first film that I went to was Sono Sion's BAD FILM, a "lost" film that he shot entirely in 1995 but was unfinished (until today) because of financial difficulties. I thought this is fitting because exactly four years ago, it was also in Filmex that I discovered Sono Sion's works, by attending the world premiere of LOVE EXPOSURE, his breakthrough film of that made his name relevant on international festival circuits. It's a sprawling gangster epic set in the "near future" (late 20th century), where Chinese gangsters and Japanese vigilantes have to battle for control over Koenji. It's like a gonzo Brighter Summer Day mixed with some Casino (Scorsese's) mixed with some Young & Dangerous/ 90s HK triad films, with a dash of lesbian Romeo and Juliet thrown in (actually, the central story IS the lesbian Romeo and Juliet, come to think of it), in some sort of Blair Witch Project-like cinematography (Blair Witch was shot on Hi8 too)... but less nauseating. I ended up enjoying and admiring the film not entirely for what it is (kinda hard for me to judge a film that was shot in 1995 and only completed now), but also for what it could have been, for the scope and ambitiousness that he had back then despite the limited resources then. I think I liked it more than his last few (recent) films! I guess this film resonated a little with me because, just a few weeks ago, I was fascinated by THE THIEF AND THE COBBLER, the unfinished 30-year-long life work of animator Richard Williams. Or Orson Welles' final unfinished film THE OTHER SIDE OF THE WIND, so it's always great to see a long-unfinished film being finished. There's happy ending here. What BAD FILM really made me think was about the aesthetics of Independent Japanese cinema. To tell you the truth, I cannot really stand the digital cinematography of many independent Japanese films, especially because filmmakers usually choose to shoot it on 30 frames per second instead of 24 or 25. Which makes their films absolutely video-ish. It's probably a matter of personal taste, since most regular moviegoers can't really spot the difference between something shot in 24fps or 30fps (hell, even my dad, who had been reviewing films for more than 30 years, had not been able to notice the difference) There had been some times when I cursed at some films for making a DLSR camera look like... iPhone or DV camera footages. I always wondered why would they choose to do this, when they have everything it takes with modern technology to make their films more "film-like". But as I went through BAD FILM, looking at the Hi8 cinematography (which took a while for me to get used to), I began to wonder whether this is because Japanese independent filmmakers are not necessarily trying to emulate film aesthetics, but rather the Hi8 aesthetics that were seen in independent films of the 80s and 90s? Video of the Q and A session.